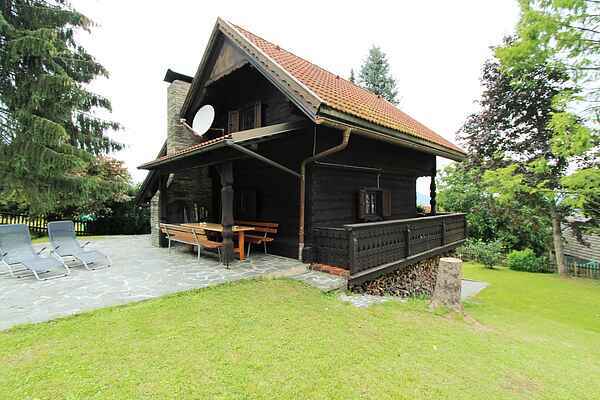 This romantic detached Almhaus is situated in the midst of pristine nature at an elevation of 700 metres. Cosily furnished and containing a central "Stube" room with a tile stove, this house sleeps up to 8 people. The Almhaus has a beautiful view of the Koralpe and the Lavant Valley. The covered terrace is equipped with a natural stone oven which is wonderful for grilling. Surrounded by forests and meadows, this is a great place to bask in the fresh air and totally unwind. It also makes an ideal base for hikes, mountaineering excursions and bicycle or mountain bike rides. In summer you can head to the various lakes (Klopeinersee, Turnersee and Pirkdorfersee) and in winter you can easily reach various ski areas (Petzen, Koralpe and Klippitztörl ) by car from this house. Must-see attractions for culture lovers include the Werner Berg Gallery, Stift St. Paul and the Liaunig Museum for Modern Art. You can also hit up the wine trails in Steiermark or even head to Slovenia or Italy for the day. Come experience a fabulous holiday in beautiful Carinthia.